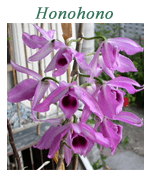 Click any of the following images for Orchid Care Sheets (right click and choose 'save as' to save to disk). 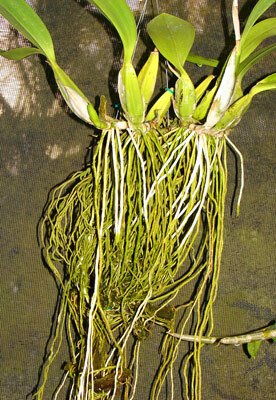 Healthy roots are the key to healthy orchids. 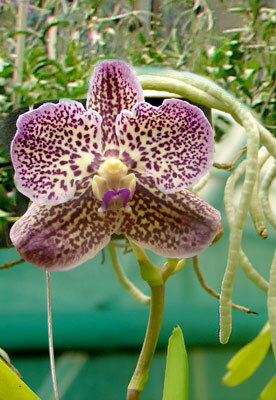 We take pride in pampering the roots of orchids, and like in the wild of nature, roots are everywhere to be seen. 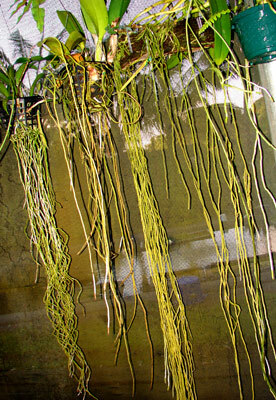 Roots with dead tips will continue to breathe air and nurture the plant, unless the watering is nil, which will cause most orchid roots to dry up completely and die. Thai vanda with large green root tips. This means the roots continue to be growing longer. When water conditions fluctuate, the tips will turn brown and stop growing.